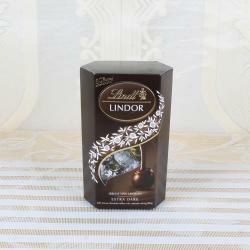 Product Consists : Lindt Lindor Assorted Chocolate Box (Milk, Dark, White and hazelnut.) (Weight: 200 Gms). 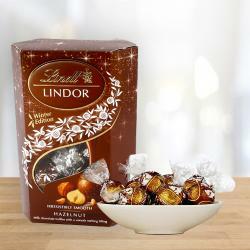 Delight your loved ones with sweetness of Lindt Lindor Assorted Chocolate. 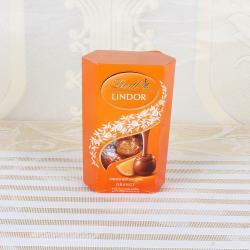 The Assorted flavour of the chocolates will create a magic and your message will be conveyed beautifully. Perfect for gifting with a delectable variety of flavours. 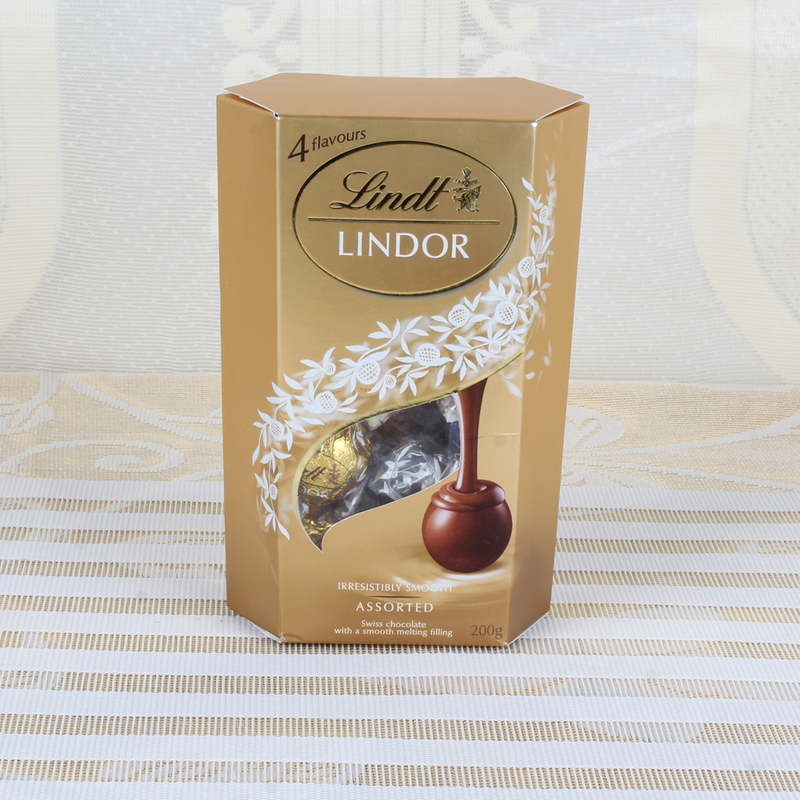 Inside this chocolate box you will find the best truffles LINDOR has to offer; milk chocolate, white chocolate, extra dark chocolate and hazelnut milk chocolate truffles. The Milk, Dark, White and hazelnut flavour chocolate has a very soothing taste and melts beautifully on the tongue. This flavour-loaded with fresh Assorted burst with Delish Dark creamy rich chocolate, Milk, White and Hazelnut. Chocolates gifting is suitable for all kinds occasion gifting like Birthday, Anniversary, Valentines Day, Mothers Day and many more. (Note : This Product is serviceable through Bluedart Only). 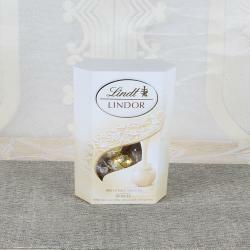 Product Consists : Lindt Lindor Assorted (Milk, Dark, White and hazelnut.) (Weight: 200 Gms).